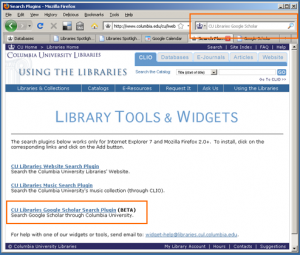 Download the Columbia Google Scholar search plugin from the Tools & Widgets page, and search Google Scholar from your browser’s tool bar. If you forget the link and you’re off campus, you can connect to the Columbia view of Google Scholar by starting your search at the databases page. Search for "Google Scholar" in the Find Databases search box, and connect! This entry was posted in Tools & Tips on February 8, 2011 by Jen. The Libraries continues to offer a series of free technology and research workshops to support students and faculty in their teaching, research, and learning. Here’s a brief selection of what’s available in February. (You can find a complete listing of Libraries workshops on our website.) We hope to see you soon! A basic overview of the options available at the Digital Humanities Center for creating electronic texts and images. The leading qualitative analysis software, supporting the annotation and analysis of text and media files. 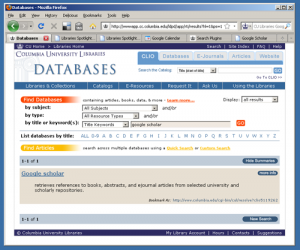 Endnote allows users to search for, to retrieve, and to store citations from journal databases and book catalogs. Because it links directly to word-processing programs such as Microsoft Word and Wordperfect, Endnote enables users to add and format citations for papers as they write. This session will teach the basic navigation and searching skills necessary to begin using Bloomberg. A hands-on introduction to Geographic Information Systems using ESRI ArcGIS software. This entry was posted in Workshops on February 1, 2011 by Jen. Columbia Faculty and Instructors are invited to the upcoming Cordial at the Libraries on Thursday, January 27, 2011 at 5:00pm. 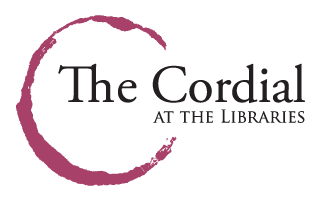 The Cordial is a happy hour where faculty and instructors are invited to meet and mingle with informational professionals from the Libraries, CCNMTL, and CDRS over wine and cheese. 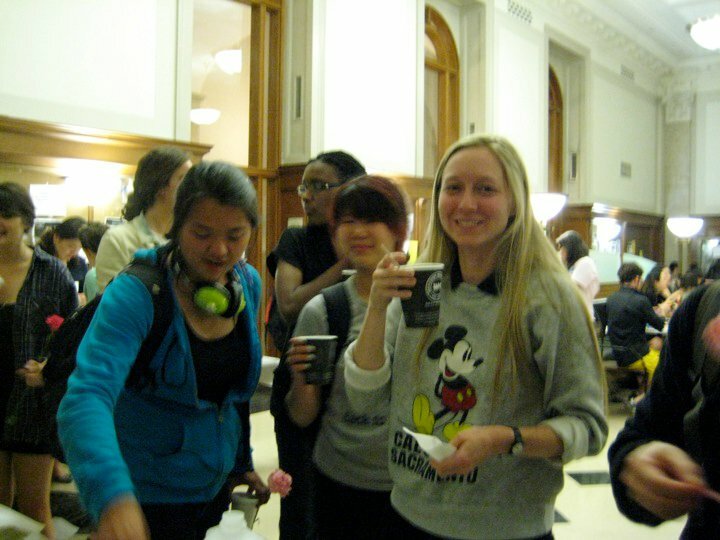 The Cordial is hosted at different libraries throughout the year, giving Columbia teaching staff a fun way to explore Columbia’s libraries and information services. The next Cordial is on Thursday, January 27 in the Burke Library at Union Theological Seminary. The Burke Library is world renowned, containing rich collections for theological study and research with holdings of over 700,000 items including unique and special materials. Visit The Cordial Website for a complete list of upcoming events. This entry was posted in Events and Exhibits on January 26, 2011 by Jen. Education info: BA in history from Beloit College, MA in modern British History from Boston University, Masters in Library Science from the University of Western Ontario. What’s new at my library: Oxford Bibliographies Online has very good introductory surveys of a number of topics, with references to both print and online sources. Personal favorite: Anything that will answer the question, really, but I have found the U.S. Army Heritage & Education Center a great source for all kinds of military history. The Index-catalogue of the Library of the Surgeon General’s Office, both in print and online is a rich source for all kinds of 19th century social history. American foreign relations since 1600 : a guide to the literature (Butler Reference Desk, R016.973 Am3547) is a model bibliography, and very useful for identifying both primary and secondary sources. This entry was posted in Ask a Librarian on January 25, 2011 by Jen. New Science & Engineering Library Opens! The Libraries is pleased to announce the opening of the new Science & Engineering Library at Columbia University. The new library, located in the Northwest Corner Building, offers research support for the fields of chemistry, biology, physics, astronomy, and psychology, as well as providing a collaborative environment supporting rapidly expanding interdisciplinary science and engineering research. We welcome the University community to stop by the new library, enjoy the space and speak to the staff. The library features seating and study spaces for students and researchers with spectacular views of the Columbia campus and Morningside Heights. 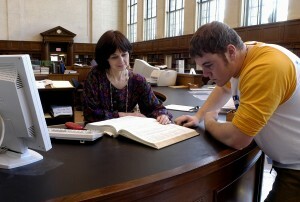 Beginning in February 2011, the library will offer tours on Fridays. 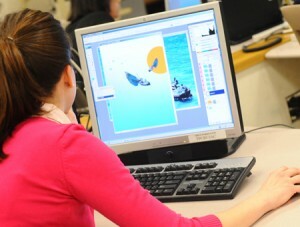 A primary feature of the new library is the Digital Science Center (DSC) where students and faculty will be able to access and find assistance for a wide range of specialized software that support the visual analysis of spatial imagery, molecular rendering and equation balancing, multivariate calculation, graphing, workflow and programming solutions to 3D modeling and animation. The facility also includes multi-purpose spaces that support presentation preparation and practice, technology-based seminars, and library and technology instruction. More information about the Northwest Corner Building. This entry was posted in News on January 18, 2011 by Jen. Join the Wallach Art Gallery on Tuesday, January 18th, from 5 to 7 p.m. for an opening night reception for Project Europa: Imagining the (Im)Possible. 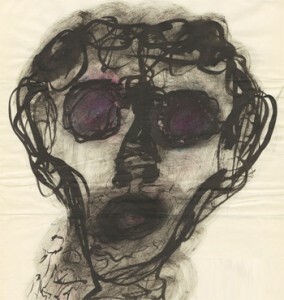 This exhibition will be on view through March 26, 2011. There will be a symposium on February 11th from 1:30 – 5:30 p.m. and on February 12, a gallery talk with the exhibition curator, Kerry Oliver-Smith at 12 p.m. The Wallach Art Gallery is located on the 8th floor of Schermerhorn Hall. Gallery hours for this exhibition are Wednesday through Saturday from 1 – 5 p.m. For more information please call 854-2877. This entry was posted in Events and Exhibits on January 14, 2011 by Jen. 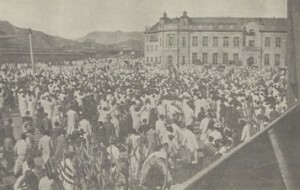 Columbia Libraries digital collections now include the following online exhibitions, featuring unique, historical materials from our libraries and archives.These exhibitions were curated by archivists and librarians who work directly with the collections. View all of our online exhibitions. 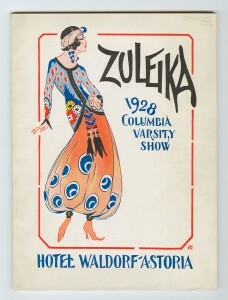 Initially conceived as a fundraiser for the University’s athletics teams, The Varsity Show has grown into Columbia University’s oldest performing arts tradition. This online exhibition is an expansion of a physical exhibit created in 2004 to mark the 110th anniversary of The Varsity Show. 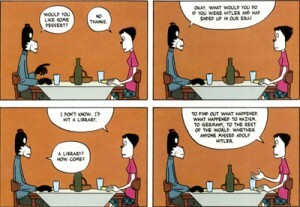 View highlights from Butler Library’s growing collection of comics and graphic novels. 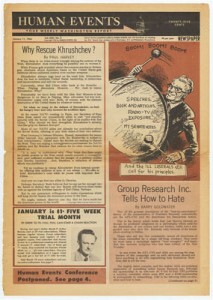 Drawing from Group Research’s archive, this exhibition showcases the role that visual media played in creating the modern American conservative movement during those years. Explore the rich visual guide to the New York Chamber of Commerce and Industry Records collection in the Rare Book & Manuscript Library. Dr. Wilbert Webster White was the founder in 1900 and President, 1900-1939, of Bible Teachers’ College, now New York Theological Seminary. 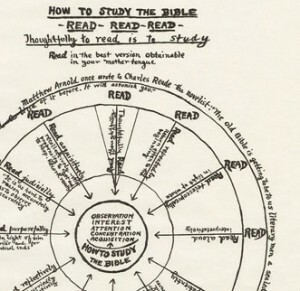 He was renowned for his development of an inductive system of Bible Study, emphasizing knowledge of the Bible rather than knowledge about the Bible. Columbia University celebrates the 50th anniversary of William S. Burroughs’s novel Naked Lunch and our extensive holdings of rare books and original manuscripts related to the novel’s creation, composition, and editing. 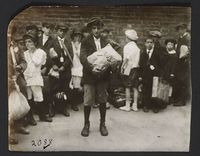 The Melting Pot features more than 150 photographs, personal documents, posters, original artworks, and books on the New York Russian Jewish immigrant community held at the Rare Book and Manuscript Library and Bakhmeteff Archive. 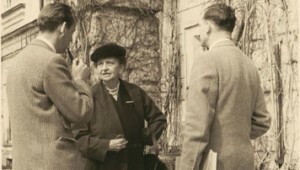 Frances Perkins (1880-1965) was a government official for New York State and the federal government, including Industrial Commissioner of the State of New York from 1929-1932, Perkins was named Secretary of Labor by Franklin Delano Roosevelt in 1933. The Columbia Libraries are now on the CU YouTube channel. Watch our Library Essentials video tutorials, an overview of our recent exhibition on the Andrew Alpern Collection of Drawing Instruments, seminars from the Oral History Workshops, the CDRS scholarly communication series Research Without Borders, or check out Murder in the Stacks. Subscribe to the Columbia University Channel to get updates whenever new videos are posted. This entry was posted in Tools & Tips on January 11, 2011 by Jen. Subject specialities: Copyright and related issues as they are important to the work of libraries and universities. Contact info: kcrews@columbia.edu or just drop by if you see the door open in Butler Library, room 507. Education info: My family taught me how to fend for myself and fight for whatever I am going to get. Years of sparring over the law have taught me how to endure blows and try to be diplomatic. I also went to college. I studied history at Northwestern University, law at Washington University, and I earned a Master’s and a Ph.D. at UCLA in library and information science. About me: I’m a copyright lawyer and librarian, working with Columbia University Libraries. The CAO has a central mission to address, in a creative and constructive manner, the relationship between copyright law and the work of the university in order to best promote research, teaching, library services, and community involvement. I like to work hard and have adventures in travel and ideas whenever I can. I like rock and roll and Broadway musicals. I am married to Elizabeth Crews, and we have two grown children and a little fluffy dog. I like to learn more about my colleagues, so please feel free to introduce yourself. I also recently completed the manuscript for the third edition of my book, Copyright Law for Librarians and Educators: Creative Strategies and Practical Solutions. It should be available in early 2011. 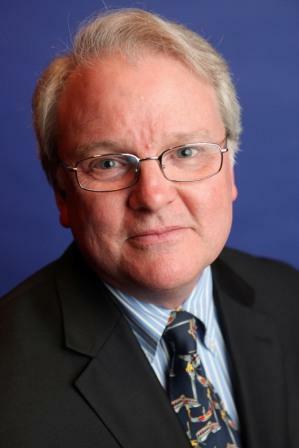 Meetings and communications around the University to encourage open access of scholarly works. Reviews and recommendations about publication agreements. National initiative to include “author rights” language in agreements for the acquisition of journal databases. Supreme Court ruling this week affecting the importation of foreign copyrighted works. Copyright bill that actually made its way through the lame-duck Congress and was signed by the President. Meeting about the digitization and access to sound recordings. Meeting about digitization of maps. Proposed language for a possible international treaty on copyright law for libraries and education. Court ruling from the Netherlands that affects access to and downloading of materials there from the internet. Inquiry about the lawfulness of a work of art that is actually made up of lines of computer code that is executable (I am not kidding). Wondering if the court will rule today on the Google Books settlement and what that ruling might mean for us. Personal favorite: I refer regularly to some of the extensive treatises on copyright law, especially Nimmer on Copyright. For more provocative thinking, I have enjoyed The Soul of Creativity by Roberta Rosenthal Kwall and The Public Domain by James Boyle. Recommended resources: If you have questions about fair use, permissions, publication agreements, the duration of copyright, and more, try the CAO website: www.copyright.columbia.edu. I am always happy when people have taken a look at the materials on the website before asking the a question. I welcome your comments! I also refer frequently to the website of the U.S. 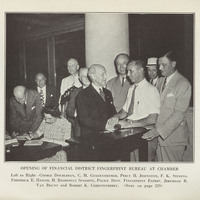 Copyright Office (www.copyright.gov). It provides easy access to informative "circulars" about copyright issues as well as the current Copyright Act, historical materials, and a trove of background materials about the latest developments in the law. This entry was posted in Ask a Librarian on January 4, 2011 by Jen. Columbia University, including the Libraries, will be closed on December 24, 25, 26, 27, 31 and January 1, 2, 3. The Libraries will be operating on an intersession schedule until January 18, when spring semester begins. Please check library hours before stopping by during winter break. This entry was posted in Uncategorized on December 23, 2010 by Jen.